All of you who’ve followed my blog, been part of my Kickstarter in 2012 or read my book will know that I’ve been a fan of Elite since 1984. I originally played the game on my trusty ZX Spectrum 48k (how enormous that memory seemed at the time! ), that makes it 31 years that Elite has been part of my life, 2/3rds of my entire existence. To say it is, and has been, a massive influence on me is something of a severe understatement. The original game was the perfect escape from my, so often miserable, school days in the mid-80s. It was something that elevated the imagination and gave me and my school friends endless topics to talk about; weapons, ships, locations… comparing our exploits in this imaginary universe. Oh, and the Thargoids, of course! The original novella “The Dark Wheel”, by the late great Robert Holdstock, was the story that first motivated me to put pen to paper, a path which resulted in me becoming a published author and finally writing my own officially endorsed tale in the Elite universe. Don’t give up on your dreams is the lesson here – you just never know. It stayed with me through my adult years. I got involved with a fan-homage remake of the original game called ‘Oolite’, writing some fan-fiction for that game in the noughties. Elite had cast a spell that remained long after my ZX Spectrum had relegated to a dusty box lost in my attic. After the breakneck events of the both the ED kickstarter and my own I made contact with hundreds of fans of all the original games and those same old conversations re-ignited. Many have become firm friends through the community events such as LaveCon and Fantasticon, and the online equivalents of facebook, twitter, twitch and the official forums representing fans all across the world. That’s been a source of enormous pleasure for me and hopefully I’ve made a few of you chuckle and nod knowingly along the way. Taking part in some of the community’s utterly nutty but so compelling moments. The Mobra Mk3 crew, Lave Radio, Comms from the Frontier, Dockers (MUG! Slave! ), yet another crazy Kickstarter… great times. I’ve been privileged to meet many folk from Frontier themselves, including David Braben himself (a real honour). Without exception I’ve found them all enthusiastic, inspiring, utterly hardworking and passionate about what they’re creating. 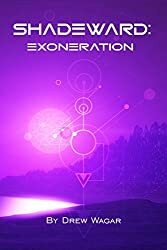 Michael Brookes worked tirelessly on behalf of the authors, and I’m indebted to him for his efforts in making the in-game Prism system as close as possible to how I imagined it in my book, even to the point of changing orbital parameters. Huge care and attention to detail was present throughout. That my late father (who died in 2013) has a memorial in the Prism system (the main station – “Hiram’s Anchorage” is named after him) is down to that collaboration. Raise a glass of Lavian brandy if you ever happen to visit. Thanks for that, Michael. My book, Elite: Reclamation, seems to have gone down well too, I’ve had a lot of feedback on it saying that it has captured the ‘essential Eliteness’ I was striving for. It was a privilege and pleasure to write it, and I’ll be forever in the debt of the fans who believed in me and allowed me to fund that Writer’s Pack pledge in January 2013. I can still hardly believe it. The community is, without a doubt, the best part of Elite. I’ve been able to get back in my trusty Cobra mk3 after all those years. I’ve flown no other ships in ED – it felt like a bit of a betrayal to use anything else. I’ve seen the galaxy, visited the stations, even tried the ‘open’ mode on occasion. The game looks and feels the very embodiment of what was in my head back in 1984. It’s a staggering achievement. At every stage the scene got bigger and more fun, culminating in the Elite: Dangerous Premiere, which was the pinnacle of the story for me. To be present, along with hundreds of other fans, as the new game was launched was a moment I will savour for the rest of my life. To be part of it – I was there when it all happened. What memories. After such a run, almost anything will be an anti-climax. Elite continues to evolve away from its original roots, reaching out to a new generation of fans who have very different needs and expectations to many of those from the 8-bit generation or those who have limited time available to play. Consoles, PvP and multi-player are all aspects of modern gaming which can’t be ignored. Truth be told, some of the recent additions haven’t grabbed my attention and, as a casual, time-poor “lone-wolf” player, they’re not what I want to play. Yes – hands up – I don’t like PowerPlay at all. I think it’s a big mistake. I’m an explorer at heart and want to ‘go where no one has gone before’. I don’t think the game is fleshed out enough in this respect. It’s pretty out there, but it’s too homogeneous, a known problem with procedural generation and something we saw even with the original game. My contribution to the game is small, but I hope I did it justice. I’m a natural story teller too, and right now, the universe in ED doesn’t have the backstory I think it needs, or the large or small scale narratives I think it deserves. I’m not looking for an overriding beginning to end mission/quest, but more a reason to care about the NPCs, stations, planets and stars; something to engage the emotions or a moral dilemma or two rather than the deadly dull statistics we’re getting out of PowerPlay. I’ve made some suggestions and volunteered some ideas as to what could be done in this area, but I understand that there are other priorities which must be addressed at this time. It’s not my game. I get that. Frontier are developing the continuing story and lore in-house. I’m not a custodian of the game, just another fan who has been generously allowed to add my own small bit of colour to the lore. I’ve had my contribution and I’m grateful for it. Hundreds of copies of my book, Elite: Reclamation, sit (hopefully proudly!) 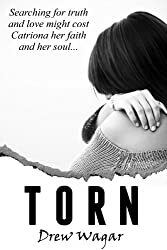 on bookshelves and ebook readers all around the world. Not many people get to realise a dream like that. All the hard work was worth it, every email or text I received about my story a small piece of joy. Thanks for those folks. I would dearly love to continue her adventures (and those of the other characters from Elite: Reclamation), either in-game or in a new sequel. Edit 30/09/2015 – Lady Kahina now continues in-game as the faction leader of the Children of Raxxla, and you can find out how that occurred in this piece of fan-fiction that has my blessing. Edit 27/10/2015 – It appears that new licenses are being actively pursued – we’re back in the game, CMDRs! Thanks to the efforts of Michael Brookes, Ed Lewis and Zac Antonaci. My ship ‘Eurydice’ is safely docked at Hiram’s Anchorage, in the Prism system. So I have parked my trusty Cobra at Hiram’s Anchorage and pulled over a dust cover to keep it clean and fresh. The frame shift drive is powered down and the beam lasers are stored away. I’m sure I’ll take it out again in due course, when I hope those 400 billion stars out there fulfil their promise of adventure and storytelling; the game I want to play. Whether that six months away, or six years away, or never… I don’t know. I hope it’s… er… soon™. EDIT 27/10/2015 – Well, it was about 4 months! 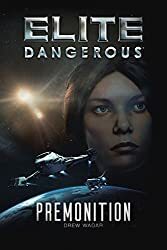 Horizons and the promise of new books looks set to change things, CMDRs. I wish Frontier and all their staff, success in pushing forward the art of the possible with Elite: Dangerous and would like to thank them for all the efforts they have made on my behalf throughout the last two and a half years. I am truly grateful. It’s a fabulous game and it deserves to succeed. …and to the fans… you amazing, crazy, mad, insane, just plain odd, annoying, lovable, weird, enthusiastic and passionate fans – thank you for all your support in so many different ways, online and in person. You’re the best online community bar none. I hope to see as many of you as possible at the various conventions. It’s been an honour and privilege – but for now, adieu. Good luck, Drew! Your book’s done very well. If you’re moving ahead then do take my advice and stay independent with your work. You’ll make more money and get better visibility. Feel free to e-mail me if you want – I’ve got tons I can share with you and a couple of private forum groups I can introduce you to, where we share info’ on the publishing business etc ( both traditional and independent ). That’s a shame Drew. Will you be attending Lavecon next weekend? I’d like to buy you a beer (although something sophisticated might be more your thing). It’s been a hell of a ride. I’m somewhat surprised that Frontier haven’t asked the authors to contribute a bit more to the “lore” of the game, especially in fleshing out the rather hollow and empty shells of the “Powerplay” characters. If you change Spectrum 48K, to C64, I could have written a substantive part of this blog word-for-word (if you remove the bits about writing an Official novel too) myself such is my shared and comparable experiences. But you’re right – I’m time poor and ED is not a game for the time poor. It’s not a particularly good single-player game (as we’re not its focus) and it’s not a particularly good MMO as it is paper thin in content. Indeed, recent additions such a Power Play seem determined to focus player’s efforts into what limited space is actually occupied – there is almost no reward/reason to push out the boundaries of space. In many ways it feels more constrained than the original 8x 256 system game, because the promises/expectations that it would be much more have not really been met. Us old timers did our bit – we kept the idea of the game alive for 20+ years while Elite IV was vapourware – and when there was a chance that it was finally going to be something more we did what Frontier hoped we’d do – we threw enthusiasm and cash at the problem and we were the ultimate marketing machine. Frontier have now moved on, despite what they say, that much is obvious – actions speak louder than words. The forums are pretty much no go for us old-time Kickstarter backing players – shouted down the moment we raise our concerns – told that we’re irrelevant – and I guess they’re right – Frontier are chasing the console generation – everything about the game seems to be geared towards this pool of players. Well, Frontier don’t need me – and, sadly, I don’t need Frontier. I had my initial burst of nostalgia – I met some great new – like-minded people and like Frontier – I think it’s time to move on – and, with a heavy heart, admit that for me – Elite: Dangerous is not the game for me – not just the game itself – but the entire philosophy/mindset of the parent company – so I’m going to step back now while I still have happy memories of the Kickstarter process and the initial Christmas Holidays excitement of playing the game, before they become clouded and jaded with what has followed and, based on what you say here, likely to continue. I think I’ll give it a year – E: D will either be a game I want to start playing again or it definitely won’t. Thanks Drew – it’s been a blast. Pretty much sums up my feelings too. I’ll probably stick around in a vain hope that 1.4 brings something for explorers, or maybe a few gems from the DDA, but I don’t have much faith in Frontier lately. They’re on a cash grab, understandable with other games of the genre in development, but I can’t help feeling FD may rue the day they closed the shutters on their long term fanbase. I’m a bit “meh” about the game too, so I know where you are coming from. Not having a decent enough computer to play the game at over 10 FPS explains a lot though, but I’m hoping that will change for me soon™ too. Maybe when the ability comes to walk around inside and outside your ship will change things and we will see Cmdr Wagar back in the black? I made the decision to step away from the game several months ago. I’m looking forward to the day when it will better meet the expectations and promises of the Kickstarter campaign and have a more coherent world to play in. Also still hoping for the single-player experience that would be more convenient to play for an old-timer who needs to pause the game even in the middle of a fight to attend RL issues. There will be a pint ( or whatever floats your boat ) for you at Lavecon. I’m also from the ZX Spectrum era and enjoyed playing Elite as an escape from Uni and work!! That said Elite Dangerous is not the game I wished it to be. The immersion broke for me the first time I bought 1 Ton of slaves…. The Prism system was one of the first places I took my Cobra and cannot wait for planetary landing so that I can visit the planets as well. 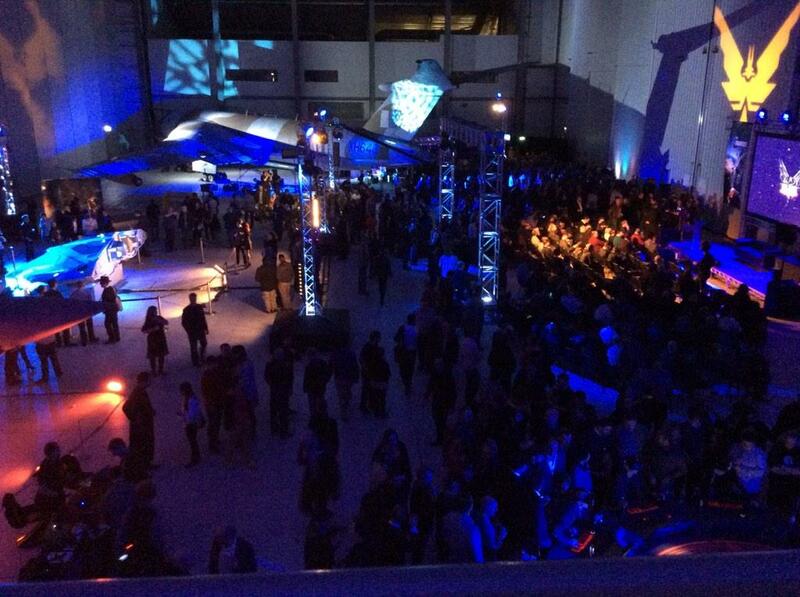 In the mean time when we can walk around stations, I will see you in the zero g bar. Hopefully will see you soon. For me Elite: Dangerous still ‘ticks enough of the boxes’ that it’s still my preferred game in my library. But I understand why ‘there isn’t enough’. Any glance at the forums and it’s clear that there is a strong desire to add more from the DDA. ‘Stay true to the promised vision’. Thread after thread after thread. The fact the Frontier are alienating the hardest core of their fanbase is a bad sign. They could do both. As I’ve said in the forums, I’m waiting to see 1.4 and 1.5 before I make a decision on whether or not I like the direction they’re going. I felt CQC was necessary and I understand the move to the XBOX. All that said, your presence, wisdom, insight and ‘cheers, Drew’s will be missed in the interim. Thanks for what you accomplished, you’ve even given me my own little inspirations (remember the Prism video?) for my own limited creative outlets. I hear you Drew and the others in the comments too. Yes current developments in the game are indeed pushing it away from it’s original lone wolf mercenary/trader formula. Now your a cog in someone else’s machinations. Its my hope though, that since the galaxy is such a big place in the game, a mostly untouched canvas waiting to be filled, that undiscovered “Frontier” we all craved for full of wonders yet to be uncovered, that dream that powered the kickstarter to success will once again become a focus for the game’s devs further down the line. So where does it leave us older players now? In some ways right back were we were to begin with. Oolite with it’s fantastic community created content still rocks (ably demonstrating what a group of like minded individuals can achieve when let loose with the keys to it’s galaxy’s code), Pioneer (for us Newtonian fans) also improves bit by bit every month using a similar formulae of community driven content. Those two fan created and enhanced games still stand as a testament to that dream. So please folks don’t give up on your Elite Dream. We helped to bring back THE space sim, put it back into the mainstream of gaming (for both the good and the bad results that came out of that) and that’s still a great start and an achievement all things considered, but the journey is never over as long as we continue that dream in our own ways. I still have faith (yes even now) that one day the game’s devs will finally (through either the addition of addons, updates and perhaps one day a proper fan moddable galaxy) give us that game we still dream about and if they cannot, give us (the old guard, the knackered old cosmic curmudgeons that we all really are) the ability to remake it anew. 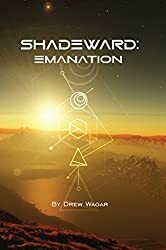 Fly straight and true you Elite dreamers, you princes of the Galaxy, you kings of the new frontier..
Drew, I wish you well in all your future projects, and especially having real success with the Shadeward Saga. You’ve been putting your heart and soul into your writing for years and it would be great to see your work recognised entirely on its own merits. Sorry to see you step away; I hope you’ll be back soon. I loved your book and I too hope that Lady Kahina appears in the Elite universe in due course. Hopefully I’ll see you at LaveCon. As a fellow casual, time-poor “lone-wolf” player I wish you well. I too came for the nostalgia, was taken in by the community but then slowly drifted away. I still saddle up maybe a few times a month and just pootle. I am quite proud of my low ratings and paltry finances. Recently I had the revelation that I was playing it like it was 1984 although I do play in open but hardly ever see anyone. My main problem, that I think may be what you are alluding to, is that it’s a bit easy and there is not a lot there. I don’t go near the forum any more either, it was inevitable and I think predicted how that would turn out. So a toast, to your good self, to all the other Commanders with their Cobra under a dust sheet. Farewell. This was to be posted on the FD forums, But they locked the thread…. “There are many who do not post on here, or can not post on here! But many of these looked up to Drew. Take it from one of the hated, that you are one of the liked! Many moons ago, I was told of a company that had dreams and dreamers. Then those dreams were replaced by politics and the dreamers supplanted by drones! The dreamland became a wasteland, where talent would never again grow! Shame to see you go Drew, however I totally understand where you are coming from. I having played the original on a C-64 and the sequels (I still own Frontier for PC with the original 3.25″ floppy and all documentation including box) also feel FD have gotten a bit away from what the Elite franchise is supposed to be. Like me you were one of the people that spoke up on the release of E: D’s version of the Imperial Courier and how it had nothing in common with the ship from the previous 2 games, and how the game as of the past few content release announcements has deviated greatly from what we all knew and had come to expect. Here’s to hoping they realize that the train is off the track and after a fashion get on the right one again. Hopefully it will not be too long before we see a return to action for you and your Cobra…..until then good luck in where your pen takes you and take care out in the black Cmdr. Sad to see you “go” Drew, and the others who’ve posted here too – I’m an 84’er as well, Spectrum and a bit of BBC 😮 I’ve always said that the games industry is sooooo different to the way it was, and games need to appeal to broader groups, but also make the shareholders happy. BUT, it is a real shame that those folks (myself included) who hung around and kept the faith on usenet (hi alt.fan.elite!) and websites and the like are feeling it’s not so much our game anymore. I’m staying, that said I’ve not played for a few days, but I am still in there fighting the good fight, I keep feeling like I need to trade to get the big fancy ships when all I really want is combat Elite. I agree with you Drew. The thing about the 1984 original that really got me hooked was the back story “The Dark Wheel.” And the awesome Pilots Manual. Elite Dangerous is drier than a camels eyelid! I think E:D should be relaunched with maybe an hour or so long video drama following the rise and exploits of human space faring from 2100, the wars, and technological discoveries. This could culminate in a potted history of the current leaders and their ‘present’ situations. Everyone needs a rest from time to time, and I look forward to your return. Soon™? Thank you for the Oolite Saga, Elite: Reclamations & other Alien Items. Best of luck with your new endeavours. Write on, Commander! Great post – you nailed it! The Elite community has achieved so much over the past few years, and it’s been great to be a part of, regardless of whether one continues or not to play the game. Ultimately I think we ‘original 1984ers’ are now beginning to realise that much of our interest was based on nostalgia, not just for the game, but for the feelings and emotions we held back then – since then we’ve grown up, our lives have changed, and maybe we don’t really have (or prioritise) as much time now, for playing games, as we did then. It’s been a blast, and we’ll not regret it – hopefully there’ll be more moments like the last few years, but we’re not dependent on it. It’s not so much a ‘nostalgia’ bubble bursting, rather finally having the ability to comfortably recognise that what we’ve changed, and moved on. The memories will be there, a bunch of new friends, and we’ve introduced a new, younger generation – that’s enough for me. Only found out about your abeyance long after the thread on the Frontier Forums was closed. Good luck with you next work, and hope to see you back again some time in the future. It’d be easy to miss the sadness and disappointment seeping from between the lines of this post if I didn’t share it myself. An amazing community of intelligent, eloquent and crazy people grew around this game during development. It felt as if all the old pros had come back to show the kids how it used to be done. One by one they’re all slipping away. Yours was one of the last voices that resonated with me from within the community. Probably a Spectrum thing. Definitely an Elite thing; Elite on the Spectrum was sci-fi come to life for me, for year after year. Perhaps one day Elite Dangerous will finally become a new Elite, and if I see you stepping back into the game I will know for certain that it has. Cheers Drew and best wishes. it was great to chat to you again at Lavecon and hear about your new book and your world building. 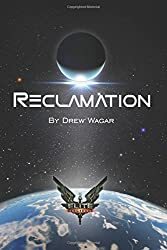 Reclamation was THE stand-out tie-in novel for me, so I’ll definitely be checking out your new stuff. Sorry to hear you’re not into the game any more. I can understand it. I wonder if I mainly still enjoy it because I only play for a couple of hours a week, and I don’t feel any pressing need to progress, so each evening I can decide what I want to do and just have fun with it. I wonder if many people are burning out because they play too much, and so need new things that aren’t coming fast enough. Because I also talked to Sandy Sammarco on Saturday and you can tell there is *so* much they want to do, much of which will fit into what us old-timers want. It just takes time. So taking a break is probably the right thing. You’ll be back one day, I’m sure. That wasn’t the way science fiction advertised itself, of course. The self-advertisement was: Technology! The world of the future! Educational! Learn about science! It didn’t tell you that it would jack your kid into this weird malcontent urban literary universe and serve as the gateway drug to J.G. Ballard. Farewell commander, and thank you for bringing us Reclamation & Salome! Like you, I hope to return to the EDVerse and the promise it brought someday, but for now, I think I’m in the same boat as you. Fly safe and right on!